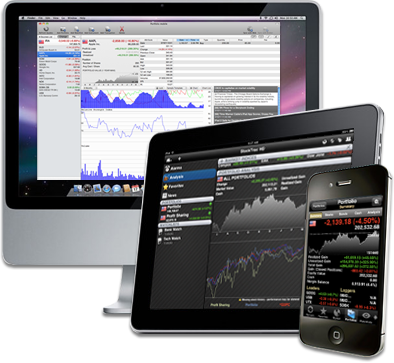 Portfolio mobile provides cross-platform investment portfolio tracking of stocks, bonds, options and more. The latest releases provide stability enhancements for all platforms. ... they are improving the app all of the time. Highly recommended. As part of its commitment to users, Bare Reef continually strives to enhance it's offerings. One user says, "Been using it for several years and they are improving the app all of the time. Highly recommended." The latest round of updates targets iPad, iPhone and Mac versions of the Portfolio mobile app. The updates address known bugs and add some minor user-requested features. Current versions of free and paid iOS apps are available in the Apple App Store. A free trial version for Mac is available exclusively at portfoliomobile.com and can be purchased via in-app purchase in the demo or by downloading from the Apple App Store. Portfolio mobile for Android is free and available exclusively on Google Play. Portfolio mobile for iPhone is $0.99 USD (or equivalent amount in other currencies). Portfolio mobile for iPhone Pro is $19.99 USD (or equivalent amount in other currencies). Portfolio mobile for iPad is $19.99 USD (or equivalent amount in other currencies). Portfolio mobile for Mac is $24.99 USD (or equivalent amount in other currencies). The Android version is available worldwide exclusively on Google Play. 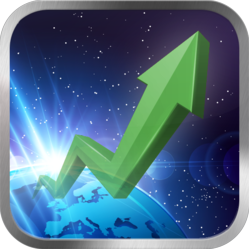 iPad and iPhone versions are available worldwide exclusively through the App Store in the Finance Category. The Mac version is available worldwide in the App Store and at portfoliomobile.com. Market Analyst is available worldwide exclusively from the Apple App store for $14.99 USD (or equivalent amount in other currencies). Bare Reef LCC was founded in 2006 by Greg Hoover to provide customer-driven applications for investors of all backgrounds. Bare Reef develops desktop applications, web-based services and mobile apps for a variety of platforms. Its flagship product, Portfolio mobile (previously StockTrac), comprises a line of mobile and desktop apps that boast an unparalleled feature set and the most responsive support. For further information, review licenses, or to schedule interviews, please contact Bare Reef President Greg Hoover. Copyright (C) 2013 Bare Reef LLC. All Rights Reserved. Apple, the Apple logo, iPhone, iPod and iPad are registered trademarks of Apple Inc. in the U.S. and /or other countries.